Delhi H.C : The land acquired from the ownership of the appellant was not agricultural land, is perverse. Badar Durrez Ahmed And Rajiv Shakdher, JJ. 2. The issue which arose before the Income-tax Appellate Tribunal was with regard to the treatment to be given to the land owned by the assessee company with the future intention of setting up an industry thereon. The said land was acquired under the Land Acquisition Act, 1894. The Assessing Officer charged capital gains thereon to the extent of Rs. 18,57,932. The assessee has throughout maintained that the land in question was land falling within the definition of ‘agricultural land’ given in section 2(14)(iii) of the Income-tax Act, 1961 (hereinafter referred to as the ‘said Act’). It was therefore, contended by the assessee that no capital gains could be charged in respect of the land. 3. The land in question which is situated in Tugalpur, Tehsil of Greater Noida, was purchased by the assessee company on 15-3-1989. Shortly thereafter it was acquired by the Greater Noida Authority and compensation was paid to the assessee company. It may be relevant to note that the Award was passed by the District Collector (Land Acquisition), Greater Noida, U.P. on 1-4-1992 and that the Award clearly established that the land in question was agricultural land. 4. According to the Assessing Officer, the assessee company had purchased the said land under long-term planning to set up an industry and no agricultural operations had been carried out by the assessee since the purchase of land in the year 1989-90. The Assessing Officer also noted that no agricultural income had been shown by the assessee in its returns of income. The Assessing Officer was of the view that the land ceased to be agricultural land when the assessee company purchased it from the agriculturist for setting up an industry. He, therefore, rejected the assessee’s contention that the land in question was exempt from capital gains inasmuch as the Assessing Officer was of the view that the same was not agricultural land in the hands of the assessee-company. 5. The Commissioner of Income-tax (Appeals) upheld the assessment order. He was of the view that the land in question ceased to be agricultural land on 15-3-1989 when it was purchased with the intention of setting up an industry. He noted that no agricultural operations had been carried out by the assessee on the land in question as no income from that source had been declared. The Commissioner of Income-tax (Appeals) also noted that the assessee had never intended to carry out any agricultural operations on the land in question. Consequently, he confirmed the finding of the Assessing Officer that the said land was not agricultural land and, therefore, liable to capital gains. 6. The Income-tax Appellate Tribunal also upheld the view taken by the authorities below. However, while doing so, the Tribunal noted in para-graph 7 of its order that the Award dated 1-4-1992 passed in the acquisition proceedings, is a document which clearly establishes beyond doubt that the land in question was agricultural land. However, the Tribunal did not follow up this conclusion with any decision in favour of the assessee merely on the plea that the purpose of acquisition itself was for the establishment of planned industrial development. Consequently, the Tribunal held that, though to begin with, prior to its purchase by the assessee in 1989, the land in question was agricultural land, notice under section 4 of the Land Acquisition Act, 1894 was issued by the Land Acquisition Collector and by that time the intention of the acquiring authority was clear that the land sought to be acquired was for the purposes of planned industrial development. The Tribunal took the view that though the intention of the assessee might not have been paramount, the fact remained that all through no agricultural operations had been carried out. The Tribunal was also impressed by the fact that the acquisition was also for the very same purpose, that is, for planned industrial development. The Tribunal was of the view that while the presumption did arise that the land in question was agricultural land, the same stood amply rebutted because, according to the Tribunal, the assessee never used the same as agricultural land. Moreover, the intention of the assessee was to develop the land for industrial purposes. The Tribunal was also of the view that the intention of the land acquisition authorities for acquiring the land was for planned industrial development. Consequently, the Tribunal concluded that the intention in respect of this land, both of the assessee as well as of the acquiring authorities, was to use it for industrial purposes. The Tribunal held that it is this intention which had acquired the status of a presumption and even if it be construed as a rebuttable presumption, the assessee had failed to rebut this presumption. Consequently, the assessee’s appeal was rejected. 7. We have heard the learned counsel for the parties at length. The learned counsel for the assessee/appellant submitted that intention to use a particular piece of land for a non-agricultural purpose cannot by itself alter the character of the land. It was submitted by him that what is to be seen is what was the nature and character of the land on the date the same was acquired. The learned counsel submitted that this issue had been considered by this Court on several occasions, as indicated in the decisions in D.L.F Housing & Construction (P.) Ltd. v. CIT  141 ITR 806 1; D.L.F. United Ltd. v. CIT  161 ITR 714 (Appendix) and D.L.F. United Ltd. v. CIT  217 ITR 333 2. The decision in D.L.F. Housing & Construction (P.) Ltd.’s case (supra) has been followed in the other two cases. In D.L.F. Housing & Construction (P.) Ltd.’s case (supra ), this Court, in similar circumstances, observed that the assessee therein had not, till the date of the Award, made any attempt to convert or alter the character of the land as it was used for agriculture alone throughout. The Court observed that the mere circumstance that the land in question may have been purchased with a view to develop it later on and sell it at a profit in the shape of plots would be hardly enough to justify the inference that it was a trading asset or a venture in the nature of trade. On the strength of these decisions, the learned counsel for the appellant/assessee submitted that the intention to use the land in a particular way in future was not what was relevant. The important point to be noted was what was the character of the land on the date when it was acquired. 8. Mrs. Bansal, the learned counsel appearing on behalf of the revenue, submitted that the facts of the present case were distinguishable from the facts of the three decisions cited by the learned counsel for the appellant. She submitted that in all those cases although the intention was to use the land for non-agricultural purposes, but nothing had been done till the date of acquisition for altering the manner in which the land had hitherto been used i.e., for agricultural purposes. She submitted that in the present case although it is true that the land, when purchased by the assessee, was agricultural land, the assessee did not carry out any agricultural operations thereon. Thus, according to her, the nature of the land stood altered by this fact. This, according to her, was a distinguishable factor between the present case and the three decisions relied upon by the learned counsel for the appellant/assessee. She also placed reliance on G. Venkataswami Naidu & Co. v. CIT  35 ITR 594, wherein the Supreme Court observed that in cases where the purchase had been made solely and exclusively with an intention to resell at a profit and the purchaser had no intention of holding the property for himself or otherwise enjoying or using it, presence of such an intention is no doubt a relevant factor and unless it is offset by the other factors, it would raise a strong presumption that the transaction is an adventure in the nature of trade. The Supreme Court, however, held that the presumption was not conclusive and it was quite conceivable that, on considering all the facts and circumstances in the case, the court may, despite the said initial intention, be inclined to hold that the transaction was not an adventure in the nature of trade. The Supreme Court held that such a presumption was rebuttable. “Mrs. Bansal submitted that this decision of the Supreme Court makes it clear that intention is a relevant factor. At this juncture itself we may point out that we are not so much concerned with the nature of the transaction as to whether it was an adventure in the nature of trade or not but whether the land in question was agricultural land or not”. Therefore, the observations of the Supreme Court would not be strictly applicable to the case at hand. However, we do note that the Supreme Court itself has observed that despite the said intention, even while considering the question of whether the transaction was or was not an adventure in the nature of trade, the Court may arrive at a different conclusion considering the attendant facts and circumstances of each case. The presumption, in any case, was rebuttable. 9. 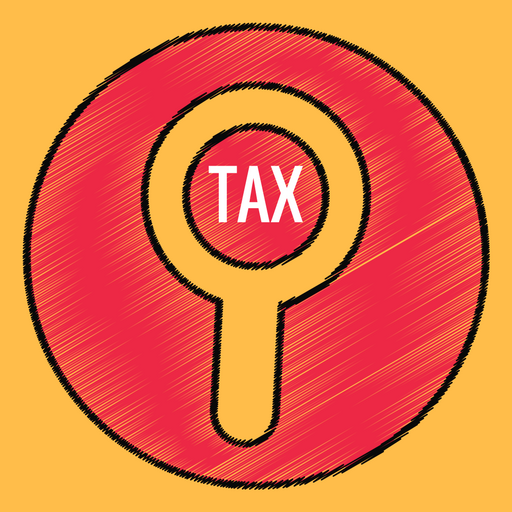 Having considered the arguments advanced by the counsel for the parties, we are of the view that the assessee’s contentions deserve to be upheld and the findings returned by the Income-tax Appellate Tribunal ought to be reversed. We are conscious that we are not merely reversing a finding of fact, what we are intending to do is to point out that the Tribunal’s finding of fact is contrary to its own record and, therefore, is in the realm of perversity. This is so because the Tribunal clearly held that at the point of time when the assessee purchased the said land, it was agricultural land. There is no dispute with regard to this. The Tribunal also noted that the Award passed on 1-4-1992 by the District Collector (Land Acquisition), Greater Noida, Bulandshar, was a document which established beyond doubt that the land in question was agricultural land. Thus, on the date of purchase, the land in question was agricultural land and on the date of acquisition, the character of the land continued to be agricultural. When these two clear findings have been returned, it is apparent that in the transitional period, that is, between purchase and acquisition, the nature and character of the land did not change. The fact that the appellant/assessee intended to use the land for industrial purposes did not in any way alter the nature and character of the land. The further fact that the appellant/assessee did not carry out any agricultural operations did not also result in any conversion of the agricultural land into an industrial land. It is nobody’s case that the appellant/assessee carried out any operations for setting up any plant or machinery or of the like nature so as to lead to an inference that the nature and character of the land had been changed from agricultural to industrial. The mere fact that the appellant/assessee did not carry out any agricultural operation did not alter the nature and character of the land. In any event, this discussion is not relevant in the backdrop of the clear finding given by the Tribunal that on the date of the purchase and as also on the date of acquisition, the land in question was agricultural land. Having come to such a conclusion, the Tribunal ought not to have gone into question of intention of the appellant/assessee and definitely not into the question of intention of the land acquiring authority, the latter being a wholly irrelevant consideration. 10. In these circumstances, we decide the question in favour of the appellant/assessee and against the revenue. The appeal is allowed with costs. The impugned order passed by the Income-tax Appellate Tribunal is set aside. This entry was posted in Sec. 2(14), Section 2 and tagged 335 ITR, agricultural land, Delhi High Court, In favour of Assessee.